This teacher, by the way, is not a complainer. She is respected by her peers, contributes to the positive climate of her school, and is adored by her students. And yet, she seemed genuinely deflated by the way educators are characterized in the media and the unrealistic expectations thrust upon them. As I’ve mentioned before, too often teachers are held accountable for student learning without being given the proper resources, time, or support and with no control over many of the other too-numerous-to-list-here variables that significantly impact learning. Accountability for educators is up, while student accountability has plummeted. Subsequently, there is not only a well-documented teacher shortage; there is a dearth of qualified substitutes. But let’s back up and talk about expectations for a moment. During my first year as a teacher, our principal announced that we would implement a 4-week summer remediation program for low-achieving students who were in danger of failing the state’s end-of-the-year test (after school and summer remedial programs are not uncommon, by the way). Staff members were asked to “volunteer” to teach the program – we would be paid, but I’d be dishonest if I said that we could choose not to participate. The bottom line is that teachers are expected to put their students’ needs before the needs of themselves or their families. They are expected to throw themselves into the line of fire to defend their charges (and they have); they are expected to participate in professional development on their own time, and they are expected to communicate with parents before and after the school day. In fact, I had a parent call me at home (before cell phones) on a Saturday for information related to her daughter’s scholarship application! The fact of the matter is, most educators I know regularly do all of the above, without complaint. But, instead of appreciating educators, who routinely go above and beyond, we disparage the profession and then write newspaper articles about teacher shortages. Remember, public school educators aren’t working for the money or the status. They become educators because they LOVE what they do, and they genuinely care about their students. Even so, they deserve to be treated as the highly educated professionals that they are (56 percent have a master’s or higher degree – a percentage that is larger than their private school counterparts). They, too, have families that they love, children who need their time and attention. I wanted to backtrack and talk about expectations first, because this theme is pervasive across all areas of education, including the topic of chronic absenteeism. I explained to my friend that no, I had not yet seen the news report. After a quick Google search, I found what I was looking for… Live 5 News Investigates: Chronically Absent Teachers. The reporter began with the data, “On average, 27 percent of all teachers nationwide miss more than 10 days of classroom time,” which categorizes them as chronically absent. With regard to the school districts in and around the Charleston area, the numbers range from 17% to 40%, which sounds high until you subtract for teachers who were out on maternity leave, FMLA, Workers’ Compensation, long-term disability/illness/injury, and/or jury duty. When Charleston County accounted for FMLA alone, their number dropped to 7%. According to the National Center for Education Statistics, roughly 76% of public school teachers are female and 44% are under the age of 40 (child bearing age). Regardless of the progress we’ve made in the womens’ rights movement, women remain the primary caretakers of both children and elderly parents (not to mention the fact that, at present, we’re the only ones who can actually give birth). Perhaps, as a district HR representative once suggested, teachers should plan their maternity leave to coincide with summer break. So, what is the takeaway? Educators are important! “No matter the reason an educator has to miss school, research shows a teacher’s absence can directly impact a student’s ability to succeed in the classroom” (Live 5 News). But let’s not forget that teachers are real people – they have lives outside of the classroom. Instead of bashing them for taking time off, how about brainstorming some workable solutions? For example, when I worked in Texas, teachers were paid $300/year for perfect attendance, $200 for missing only 1 day, and $100 for missing only 2 days in a school year. Think that’s a lot? A first-year teacher’s daily rate is $187…do the math. How about this…some states have created a pool of certified teachers who are “on call” to act as substitutes. We can’t have it both ways, folks. If teachers are as important as we say they are (and we have the research to prove it), then let’s act like it. It’s been said that it takes a village to raise a child. If that is true, we ALL need to pitch in…we must help educators educate YOUR children! Goodness. The school where the teachers were made to “volunteer” over the summer must have thigh staff turnover!! Surely it makes more sense to hire summer staff and allow your teachers to rest and recuperate over the holidays!? 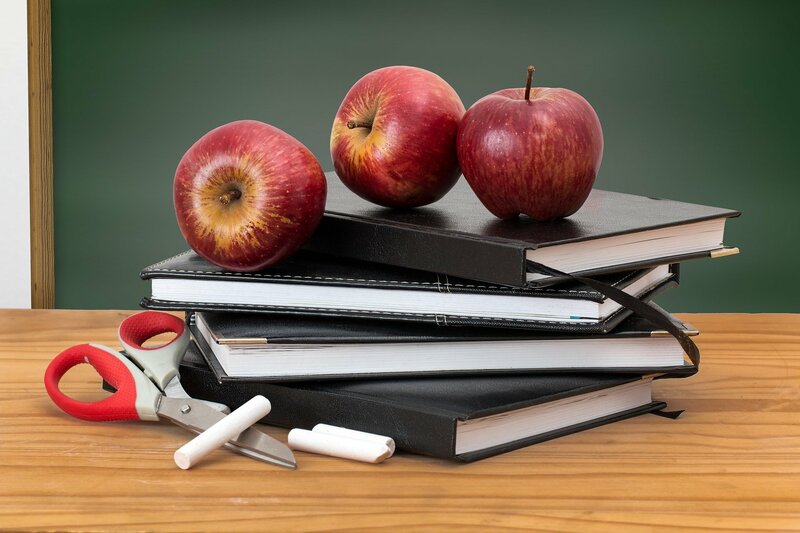 Josy, teacher contracts usually have a line that says something like, “and other duties required by your school or principal…” People seem to think it’s a cushy job with summers off, but there is a lot of extra work involved that lay people don’t see. You have touched on an issue that has bothered me for some time. A teacher does not work part-time. i think there is a misconception in the world, and possibly among the young would-be teachers too, that the expectation is 9 months of school-day work. Clearly, that is not the case. Like any professional, the expectations you laid out are normal in my world. I am expected to do professional development both on and off the clock, to care about my business and to put in any hours necessary to get the job done. The difference is we don’t PAY teachers as we do in the corporate world. The expectations are the same, but the societal recognition of value for the work is seriously distorted. This bugs the living heck out of me. Every teacher I know deserves a raise. I believe the mismatch in expectations and rewards is part of the problem. I am no expert, but my observations of what happens in the private sector when effort, expectation, and reward don’t match always leads to problems. I’m eternally grateful to the teachers that volunteer every day to love and care about my child’s education. I know they don’t have to, but they do it anyway. Angela, you hit the nail on the head. Teachers are professionals, but as you mentioned, they aren’t treated as such. And, in the corporate world, things seem to take care of themselves. When you are talking about any kind of government bureaucracy, however, like public education, there is no recourse. It takes so long for these behemoths to enact change. Jess, you are so right! Thanks for sharing your perspective. Sadly, the result of this mess is that good teachers, like yourself, run away early on! A lot of what you discuss above is what led me to leave the teaching profession. I went into teaching because I was passionate about education, and I wanted to make a difference. I threw myself into my career; leaving little time for anything else. After a few personal experiences, I had to take a step back and remember, like you said, that I am a person, and I have a life, and I need to be able to live that life. In addition to that, I started to see and feel a lot of the things you mentioned– an expectation to give up any and all free time but not be paid for it, a lack of respect for my professional knowledge (4 years of undergrad, 2 years of graduate work, and 6 years of experience), and a lack of accountability for students. It broke my heart when I decided to leave teaching, but I knew that my happiness and my sanity were important, and as it stood, those weren’t the priority. Becca, thank you for sharing. You are just one more example of a good teacher leaving the profession. I just don’t understand why the people in charge don’t get it. The whole system needs an overhaul! You had me at accountability. So true it takes a village to raise a child and parents and yes students have to take more accountability. You always give me something to think about. Thanks, Brenda! Yes, the accountability and pressure on teachers is crazy. While, at the same time, we let kids and parents off the hook. In my state, we’ve now lowered the passing grade to a 60, many principals don’t let teachers give a grade below a 50 (even for missing work), and we’ve eliminated the attendance policy. Then, we boast about having high expectations. A very well-thought-out post, Dr. Allison! I made it six years before I decided to stay home with my children. During those six years (besides teaching), I went back to school to get my adapted physical education certification, so I drove from work to college (a 45-60 minute commute), and back again each day for two years. Then, I went back to school to get my masters for the next three years (while working), partly because I love learning and research, but also because $28,000 wasn’t cutting it. While I was teaching and going to school, I was doing a lot of paperwork before and after school because IEPs take a lot of time, and 70% of my caseload was working with students with disabilities (which I loved). My principal started to demand that I incorporate math and reading into my physical education classes, because test scores are everything! I was called at home by my principal with a long telephone list (I wasn’t the only one) to ask community members to vote for the current democratic party candidate (wow, did this feel uncomfortable – especially since I lean toward the republican side). And you are right, development days were on our own time. I also helped out in the standardized testing rooms (because kids were not allowed to attend physical education classes during testing days) where elementary kids were so nervous about their tests that they would get physically ill. Needless to say, when my son was born, I stayed home with him. And less than two years later – my daughter was born. This is when I decided my public educator days were over. I couldn’t go back to the often-negative environment. As my as I loved my students, I had to quit the job for me. I also decided to homeschool my kids during their elementary years, so they didn’t have to go into the often stressful environment that public schools are today. I want them to have a happy childhood. I want them to enjoy learning. I want them to be able to play, explore outside, and be kids. Erin, I’m almost at a loss for words….as I read your post, my jaw hit the ground! Part of it is sadly comical – special area teachers creating reading and math lessons – but common. However, when I got to the part about your principal’s unethical, unfair, and frankly, appalling request – calling to promote a candidate….I just about lost it! That is really unprofessional! I have never heard of such a thing. But, the torture we put children through is unconscionable. When the standardized test instructions have “procedures” for bagging up a vomit-covered (haz mat) test booklet, there’s a problem. Exactly – nobody should have stress like that, but it killed me to see elementary-aged children getting physically ill over test anxiety. There is a lot wrong in the public school system. Hopefully things will begin to change. When I left my school district (which is one of the largest in the state of MN), 10% of the children in our district were homeschooled. Ten percent! When will the “system” wake-up? We need to do better for our students and our teachers. Wow, 10%? And I’ve always heard that the schools in Minnesota are outstanding! What does that tell us? Alas, you are so right – more accountability (and headaches) for teachers, less for students – not to mention teachers’ families always coming last – this has a lot to do with why I quit the profession when I became a mother; my husband and I decided that one teacher in the family was bad enough, we couldn’t both continue to teach if we ever wanted our children to see a parent at all..
Flossie, your response is a sad indictment of the profession – good teachers choosing to leave the profession due to poor working conditions. Yet, the public still believes educators have it made! The education system is being scrutinized that’s for sure. We need to make some changes for the benefit of the students and that means giving teachers the support and resources they need.